Who's ready to keep the party going? We are! Chill the champagne, prep the confetti, and practice your kissing face for that 2016 smooch. 2015 has brought us so many blessings. I think we all deserve a little extra celebration time. If you're hosting a party and need NYE invitations, these hot trends should help inspire you. Fill large transparent balloons with your choice of confetti and pop them to welcome 2016 with a BANG! Such an easy party craft, these balloons are both beautiful and festive. Dress your drinks up with glitter for added fun! Just spray any bottles in adhesive and roll in sparkly glitter. This is great for silver and gold theme Happy New Year's Eve photo invitations. It's a very clever way to keep your theme throughout your party. Give your guests something interactive to have fun with! A DIY New Year's Eve resolutions board can be made on poster board, a chalkboard, dry erase board, or right on an empty wall. Guests can grab a Post-it, write down their 2016 goals and share it on the board. Inspire others to start their 2016 with a positive outlook. Maybe your resolution is to take more photos in 2016? This is the easiest way to chronicle your night! Download the Mosaic book photo book app on any Android or iOS device. Throughout the party, snap some great party pics and upload them to a beautiful Mixbook photo album that will arrive at your door in less than five days! Not everyone might be into champagne at the party. That's ok, because there are plenty of fizzy mocktails everyone can enjoy. Set up a bubbly bar so your guests can craft their own mimosas, sparking fruit drinks, champagne cocktails, and more! Guests love being able to try new things. Having options are always a plus! New Year's Eve is one of the most inspiring holidays. 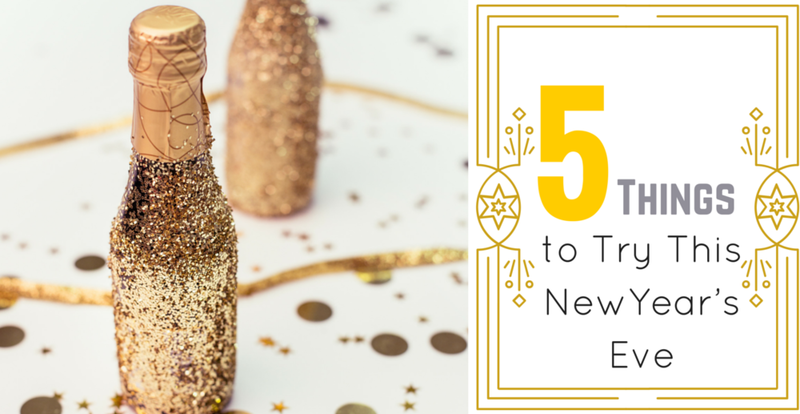 It's your chance to try something new, kick off your new year right, celebrate with your best friends, and look forward to the new opportunities and memories the next 365 days has in store for you. So what are you waiting for? 3...2...1...HAPPY NEW YEAR!